Feels like a good quality material and is certainly bright and cheery. The welcome word is backwards on the back side. I have yet to put it out but, it looks like it will hold up well. It is made in china. Great addition to our collection . We'll replace our spring flag with this one when summer arrives in June! It's colorful and displays the flag. Wanted a new garden flag and this one will work fine for Memorial Day (May). 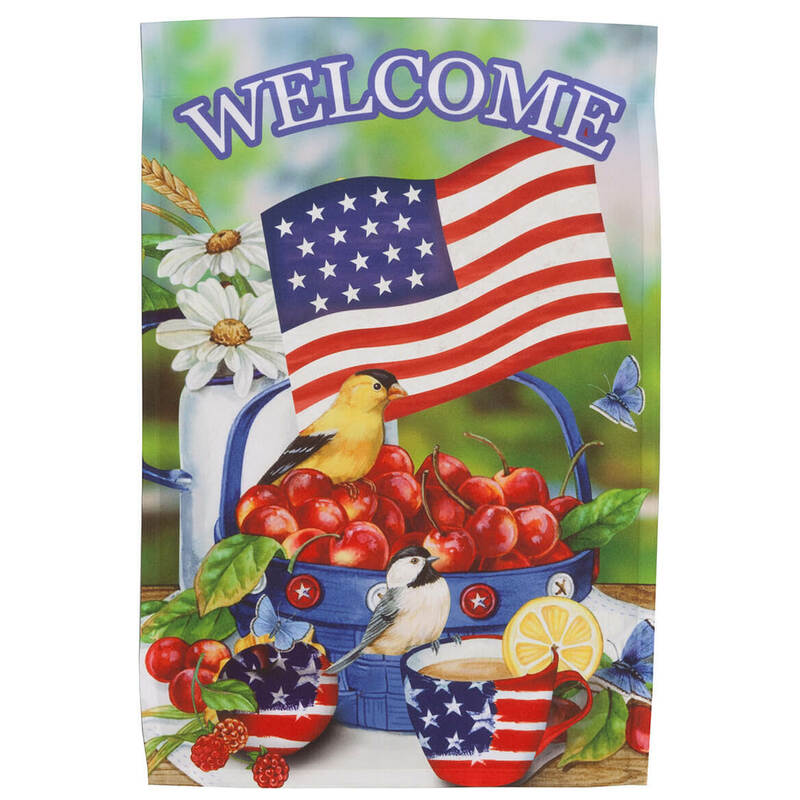 I like the various items on the flag along with the welcome. It can be used for the whole Spring and Summer seasons. How large is this flag? BEST ANSWER: Thank you for your question. 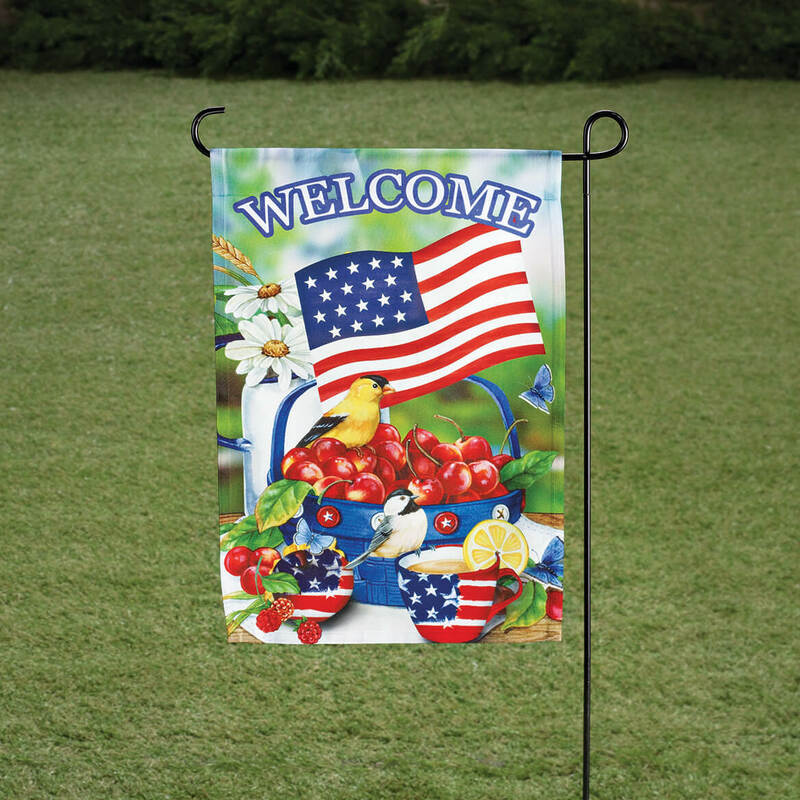 The lawn flag measures 18" long x 12" wide; pole opening is 1 3/4" wide. We hope this information will be of help to you.